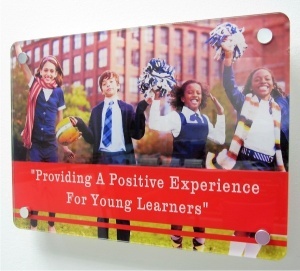 Create a WOW Effect with our range of Clearview Acrylic School Signs. 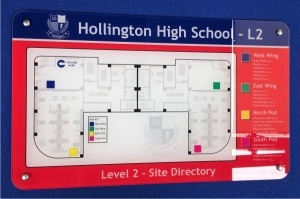 Full colour customized designs are UV printed directly to the reverse of a 5mm clear acrylic panel. The panel has child friendly rounded corners and a stylish smooth polished edge. 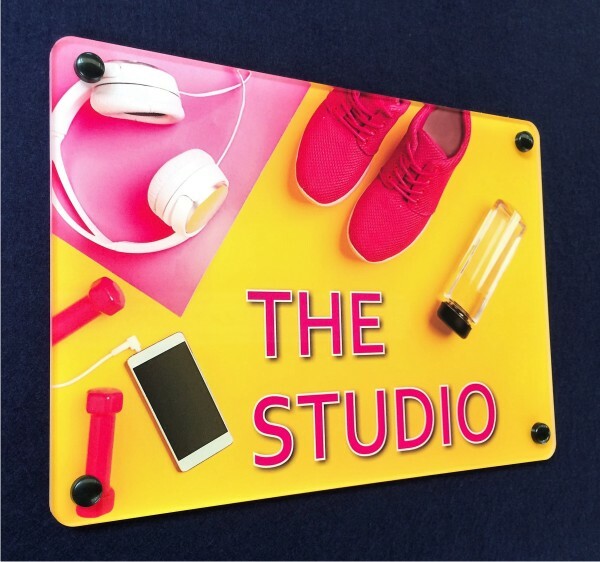 You can choose between tasteful stand off sign fixings or flush mounted chrome effect sign fixings. 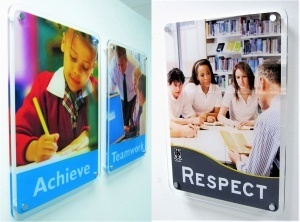 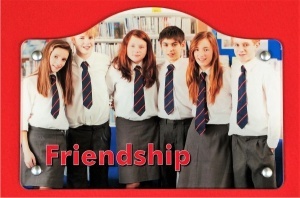 Our Clearview acrylic sign panels are an ideal way to greet or assist visitors to your school or to promote your values. 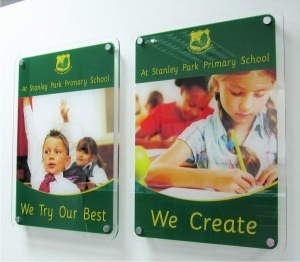 We have a range of sizes and backing panels available.